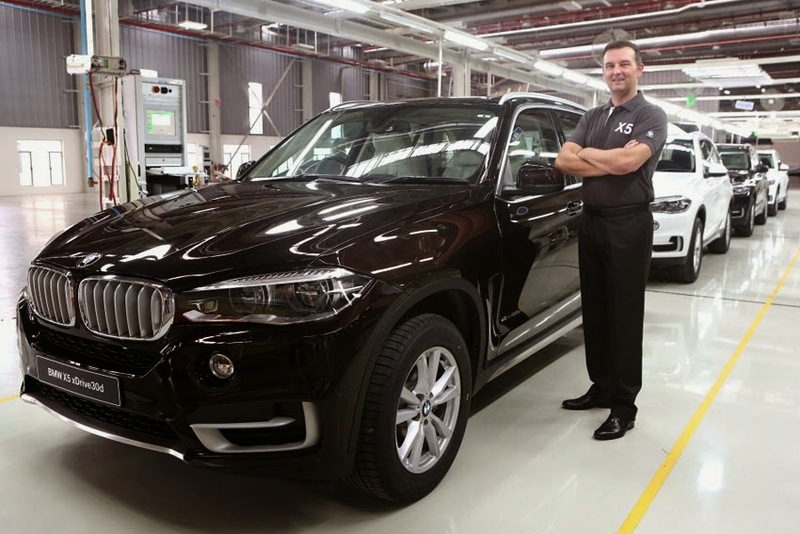 The BMW Plant Chennai will roll-out the all-new BMW X5. Initial deliveries of the all-new BMW X5 in India will commence by June end. "We are excited to roll-out the third-generation of the world's most successful 'Sports Activity Vehicle' from BMW Plant Chennai. The team at BMW Plant Chennai will build the all-new BMW X5 with highest standard of quality, distinguished workmanship and uncompromising engineering. Indian consumers strongly associate the BMW brand with exclusively authentic luxury products. We are confident that the all-new BMW X5 produced in Chennai will further increase our momentum in the Indian luxury car segment," said Robert Frittrang, MD, BMW Plant Chennai. The all India ex-showroom price of the BMW X5 xDrive30d Design Pure Experience is Rs.70,90,000.